A small French Press, 20 grams of coffee and 12 fluid ounces of water. Hi. I guess this is a newbie question. I have been using a drip brewer for years and just know from experience how much water and ground coffee to use each time I make a pot of coffee. Recently someone gave me a French Press and I’m eager to try it out. But I’m kind of stuck when it comes to figuring out that proportion of ground coffee to water. What’s the best ratio? And how do I measure the coffee? Thanks for the question. And I understand what you’re saying about having an eye for the amount of coffee you need with a familiar brewing method. So...there are some basics when it comes to ground coffee and water. Use 10 grams of ground coffee for each 6 fluid ounces of water. That’s the basic starting point, whether you are using a French Press or a drip brewer. If you have a set of scales that can accurately measure 10 grams, so much the better. If not, get yourself a coffee scoop. One coffee scoop measures about 10 grams. 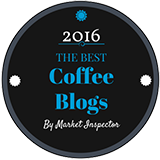 And two tablespoons of ground coffee – the other measure you often hear about – equals one coffee scoop. 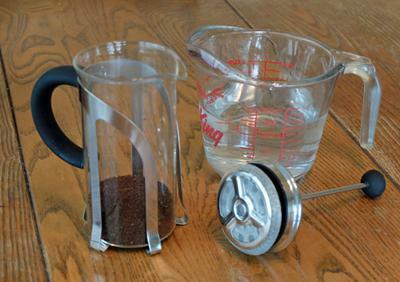 The next step is to use a standard measuring jug, which you probably have in your kitchen, and find out how much water you are going to be adding to your French Press. 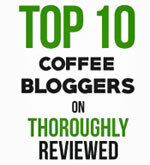 You don’t want to fill the French Press right to the very top. Leave some room for when you want to fit the plunger and lid. How much water that amounts to depends on the size of the French Press you have. Let’s say you can comfortably add 12 fluid ounces of water. 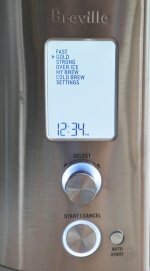 Well, that means you’ll want to add 20 grams or two scoops of coffee for each brew. The other thing to understand about the French Press is that the coffee grind should be coarser than when you use your drip brewer. If you have your own grinder, change the setting. Otherwise look at the packaging when you buy your coffee and make sure you buy it the coarse grind. Once you have used your French Press a few times you’ll get a feel for exactly how much coffee to use. If it tastes a little weak, use more coffee. If it’s too strong, use less. And, just with your drip brewer, you’ll soon be able to measure the amount of coffee by sight, and not have to worry about exact measurements every time.